Google as a largest search engine in the world crawls all the URLs from your site more effectively. It crawls millions of other webpages each and every day. 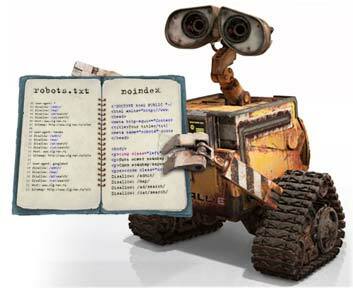 In fact it crawls and indexes all the possible URLs from your website such as duplicate URLs, bad meaningless pages etc. 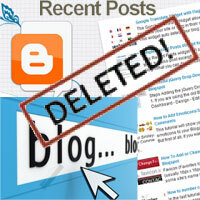 For example take a look at this blog post where we have mentioned about omitted results and removing those bad URLs. Google is smart enough to handle such URLs but to make your pages and site better perform in search results you have to make use of several features in Google webmaster tools. Google webmaster tool is a free and amazing tool for webmasters that helps you to make your blog and website search engine friendly especially Google friendly. We have previously shared about adding your Blogger blog to Google webmaster tools. So just submitting your site is not going to help you improve your site’s SEO, you have to make frequent audits and utilize certain features whenever necessary. We have covered about submitting your sitemap in webmaster tools which helps Google to discover all your pages. Also we have shared about using Google webmaster tools effectively for SEO, but not in-depth. We have just covered only few of its features and one main feature that we missed is about URL parameters. Here we will see what URL parameters are and how to best use or configure URL parameters in Google webmaster tools. 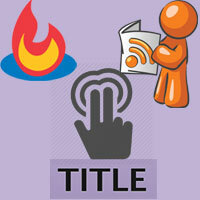 URL parameter is a part of the page URL which is set dynamically in the URLs to pass certain values. It usually appears next to the query string that is after the question mark ? and multiple parameters are separated using ampersand &. In most of the e-commerce websites you can see such parameter that is they use it to sort same products in multiple ways and they may even use it to track their session IDs or campaign IDs etc. URL parameters may vary from site to site depending on its architecture. Below are some different cases of URL parameters, before looking in to that read this article on SEO friendly URL structure which will help you understand about URL structures. In e-commerce website if you look in to a page you will have several options like sort by relevancy, sort by price, and sort by ascending etc. This only helps improve user experience but for search engines such URLs are crap. If you look in to your wordpress site then your URL normally looks clear and simple like this depending upon your permalink structure. https://blogtimenow.com/wordpress/setup-wordpress-languages-wordpress-language but when a visitor visits this same page via Feedburner or other social networks they will have few additional lines added to their URL like this. https://blogtimenow.com/wordpress/setup-wordpress-languages-wordpress-language/?utm_source=rss&utm_medium=rss&utm_campaign=setup-wordpress-languages-wordpress-language . This helps you to track your referral sites and other traffic sources in Google analytics but anyhow such pages will perform less in search results. In both the above cases the first URL is the original one and the other URLs consist of parameters; that is a duplicate URL pointing to the same page which affects your on page SEO. Whenever Google detects a page with duplicate content (different URLs pointing to same content), it groups all in to one. Then by measuring the link popularity and by understanding the canonical link element it represents that URL in search results. Platforms like wordpress and Blogger will have canonical link element defined to each page and so you don’t have to concern about this topic. Anyhow to better improve your site’s crawl efficiency you have to handle URL parameters in Google webmaster tools. 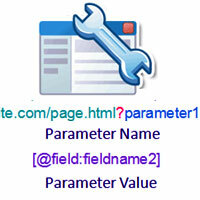 Before using the URL parameter feature in webmaster tools we will see the URL parameter types. Basically there are two types of URL parameters they are parameters that doesn’t change the page content and parameters that control and change the page content. Parameters that don’t change the page content: – In e-commerce sites parameters like affiliate IDs, session IDs and in wordpress sites parameters like utm_source are best examples for this type. Such parameters are used to track visitors and referrals etc and in general it doesn’t affect your page content. Parameters that change your page content: – This type of parameters will change your actual page content. For example language, sorting, narrows, specifies and paginates. Sorts – If you look in to online shopping sites you will have options like sort by new arrivals, sort by ascending, sort by price, name, brand etc. Narrows – It narrows down search and filters a large group of similar content. For example cloth size=L, XL, XXL and color=blue. 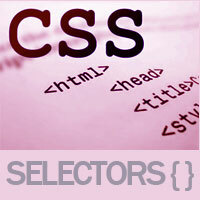 Specifies – Used to specify the content on the page such as product, category, item etc. URL parameters are powerful feature in webmaster tools. By telling how to handle your URL parameters Google can crawl your site more efficiently. But use this feature only if you are more confident about what you are doing. Incorrectly configuring can lead to disappear many pages from search results. Before we go on to configure this feature take a look at this video below about configuring URL parameters in webmaster tools. 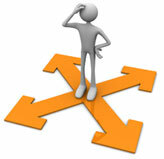 Go to Google webmaster tools and then select your website. Now move on to dashboard >> crawl >> URL parameters where you will see a warning message. 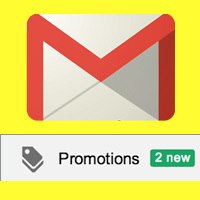 Now click on configure URL parameters and you will see several URL parameters which by default added by Google bots. You can edit the existing parameter or you can add new parameter. Note that this tool is more sensitive so type in the parameter exactly what you see in your URL. Select no option if the parameter that you have added doesn’t change the page content and select yes if the page changes, reorders or narrows page content. When you select yes you will have additional options like how parameters affects your page content which you have to select from sorts, narrows, specifies, translates, paginates or other. Next you have to set which URLs with this parameter should Google bot crawl. You can either choose to let Google bot decide or every URL or only URL with specific value or no URLs. Finally when done click on save changes. For more detailed instructions about handling URL parameters in webmaster tools you can read this source. Again we suggest you to use this tool only if you are more certain. Hope this post guided you with URL parameters and configuring URL parameters in Google webmaster tools. Do you use URL parameter tool, if yes then how effective it is? Please share your experience with us by commenting below.